Keith Baker is the Executive Director of Friends of Browns Canyon, an organization that’s been working to protect the popular recreation area. He says he’s not surprised by the 77% of Coloradoans in support of the proposed designation. "The geological formations of Browns Canyon are unique even by Colorado standards," says Baker. "Once you get in there and start looking around, you’ll say ‘Wow this is something like I’ve never seen before." 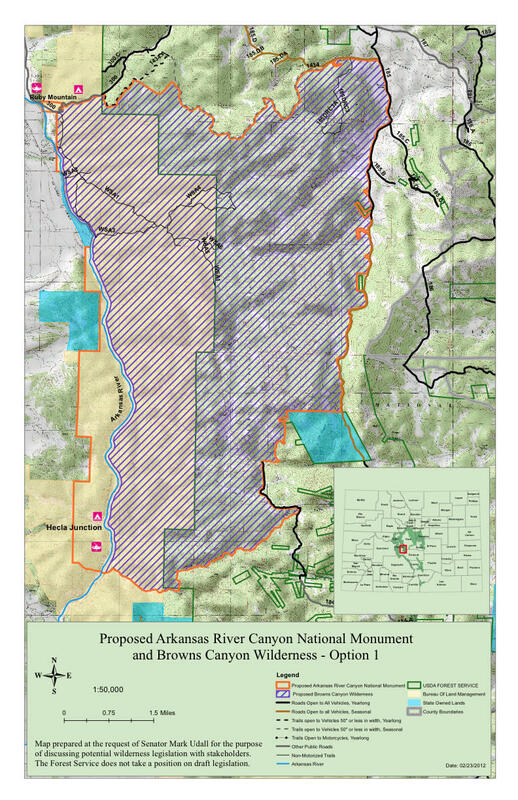 The proposal would make the 22,000-acre site a national monument with a 10,500-acre wilderness area. Baker says this designation could nationally increase the profile of Browns Canyon and could boost Chaffee County’s economy.